Best correct One Does Not Simply. Ever? Best one does not simply meme. Ever. 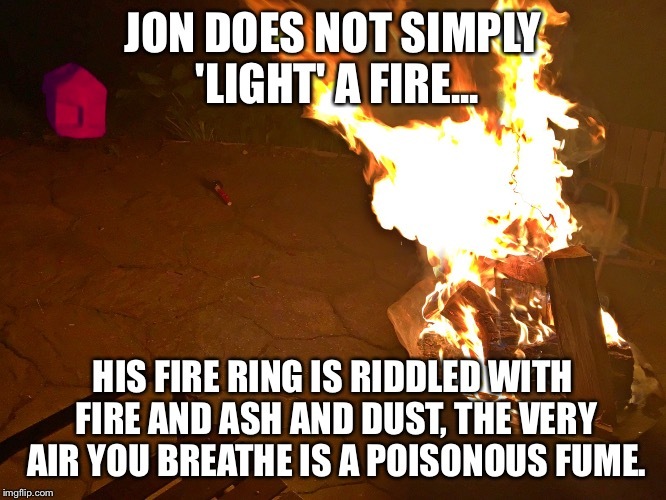 JON DOES NOT SIMPLY 'LIGHT' A FIRE... HIS FIRE RING IS RIDDLED WITH FIRE AND ASH AND DUST, THE VERY AIR YOU BREATHE IS A POISONOUS FUME.